Are you looking to produce a video/film in France? From video shorts to films, TV ads & documentaries, NEEDaFIXER France has you covered. Whether you are looking for Fixers in France, a French Location Scout or French Film Production, NEEDaFIXER can help. Our extensive network of film fixers, location scouts, assistant directors, directors across France makes NEEDaFIXER a popular choice for those looking for production services. What ever your production / film / video shooting requirements may be, speak to NEEDaFIXER today. We are a popular choice for businesses looking at film production in France. Want to see some of our work? Check out our incredible portfolio of French Video Production! France is filled with iconic filming locations that have been used in hundreds of classic and modern films. From the cobbled back streets of Paris in the shadow of the Eiffel Tower, to the turquoise seas of the French Riviera, the country is suitable for a diverse range of productions. 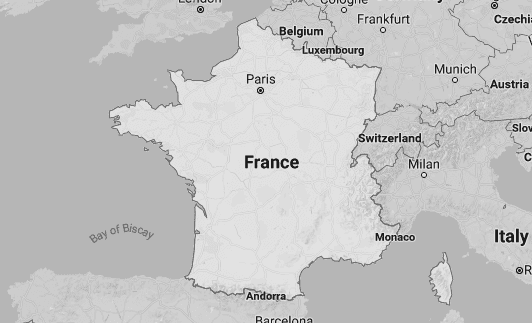 There’s also a thriving film industry in France, with both independent and major film studios. NEEDaFIXER FRANCE have a wide range of contacts in the area, and can assemble a crew to film your production in France. We can provide directors, producers, technical staff, and all the crew that your particular shoot requires, and we’ve worked with an impressive array of production companies over the years. A major challenge of filming in France is the language barrier, but using the services of NEEDaFIXER means that we can provide a go-between and ensure you have the experienced crew you need to make your production a success. We offer a wide range of services for those who are filming in France from scouting the right location, to providing equipment such as drones and pilots to create exciting new shots. Our comprehensive range of pre-production services helps you ensure everything is in place before you arrive, and we can even help with casting in France, sending over show reels of talented locals. Whether you are filming in the middle of Paris or on an empty beach, the NEEDaFIXER FRANCE team will be able to arrange permits and get cast and crew transported to the location. France is a good country in which to film as generally it’s an easy process to obtain the right permits, but we can get these sorted for you along with arranging all the other logistics of your shoot. France is one of the major exporters of movies around the world, with many popular French and English language films produced here every year. Oscar nominated Amélie was filmed in Paris and was a global hit, and Stephen Spielberg produced comedy-drama The Hundred-Foot Journey was filmed in a charming small town in the Midi-Pyrénées region. With major cities and rustic towns at your disposal, there are endless filming locations in France. NEEDaFIXER can support all of your requirements when looking for French Film Companies. France is a popular destination for those filming movies and TV shows, and many major productions have taken place here over the years. 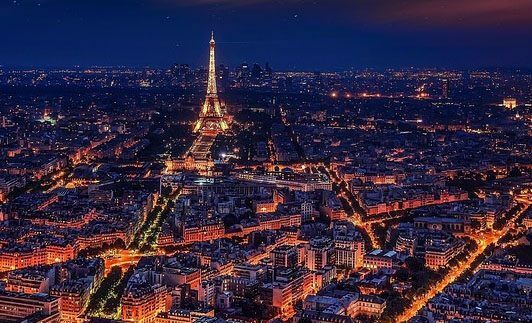 You’ll no doubt have seen many movies set in Paris, especially classic films, and the city has also been the backdrop for newer films such as action packed Taken and horror movie As Above, So Below. Outside of the capital, many French film locations have been used in classic and modern movies. Alfred Hitchcock used the French Riviera as a backdrop for To Catch a Thief and other movies, while the Palace of Versailles has been used in dozens of movies over the decades. You may already have a filming location in France in mind, but if you don’t then the NEEDaFIXER FRANCE team can find something that’ll suit your production’s style and budget. What can our fixers in France do for you? France has a large and diverse film industry, and you’ll usually find that the authorities are amenable to requests to film in various locations. However, you may be put off from filming in France because of the language barrier, or worried about finding the right crew. Using the services of NEEDaFIXER FRANCE means that you can get things like permits arranged for your shoot, and will have a professional crew on hand ready to film. You’ll find a few major studios in France, such as the famous Gaumont Film Company who have the distinction of being the first film company in the world. France also has a thriving independent film scene, and also produces a lot of original content for TV. NEEDaFIXER has worked with many production companies across France, and has built an excellent portfolio of contacts so we can find cast and crew for all sorts of shoots. If you’d like to find out more about how our team can help with production in France, please e-mail us at info@needafixer.com and we’ll be in touch. How easy is it to get permits in France? Due to the film-friendly nature of the country, not forgetting the iconic and stunning backdrops, it’s relatively simple to attain a permit and usually takes up to 6-10 days to process. If you’re originally from an EU country, you will not be required to have a visa. Outside of the EU, it’s advisable to contact their local embassy for further information and check for recent visa changes eg. Japanese citizens now have visa-free access for 172 countries and territories (can enter France up to 90 days within 180 days in the Schengen area, without visa). From specialty cranes to underwater equipment, you’ll have a high-quality selection of technology at your fingertips when shooting in France. As well as standard equipment supplied by Arri and Panavision in particular. Northern France has a standard four-season climate, whereas the south of France has a more Mediterranean feel year round. From snowy conditions in The Alps during the winter to clear, sunny days in the summer along the coast, diverse conditions can be found in each season. Most filmmakers favour September – May when shooting in the South of France.